While it may seem unlikely that something like a flood, hurricane, tornado, or wildfire would impact your neighborhood, the rate of natural disasters is actually increasing. While you can’t prevent a disaster from impacting your region, you can plan your response and evacuation plan in advance. It doesn’t matter if you live on the East Coast, West Coast, or smack dab in the middle of the country, disaster can strike anywhere. From earthquakes on the West Coast and hurricanes on the East Coast to tornadoes in the Midwest, a natural disaster is always a possibility. Throw in things like floods and wildfires and your life very well may depend on how prepared you are. Specifically, your family needs a disaster preparedness plan. To help keep your family safe and prepared for whatever Mother Nature throws your way, let’s highlight some of the things that need to be included in this plan. 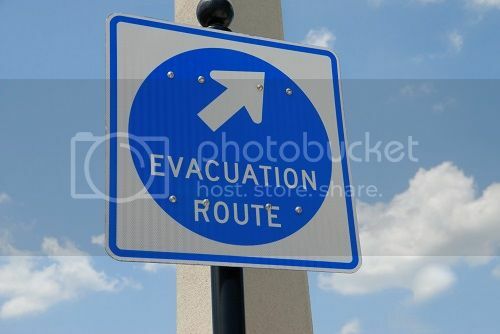 The first key to any disaster preparedness plan involves having a specific and clear evacuation plan. This is especially true when it comes to flooding. The best way to find evacuation routes is to walk around your neighborhood and make note of elevation changes, pathways, and key intersections. If your property is located in a low area, knowing the quickest way to higher ground can literally save your life. Every member of the family needs to have specific responsibilities during a disaster. For example, one parent may be responsible for getting the children ready, while another may be tasked with packing a bag and gathering the pets. Children can have responsibilities, too. When everyone has a role, the evacuation goes much smoother. Evacuating your home in the event of a natural disaster is one thing, but where will you go? The most irresponsible thing you can do is leave home without a plan for finding shelter and safety. In your evacuation and preparedness plan, identify locations of nearby shelters, safe houses, and hotels. And don’t rely on GPS to get you there. Since cell phone towers and data networks may be down during a disaster, you’ll need physical maps and addresses. As mentioned, your cell phone and internet-powered devices may not work during an emergency. As such, it’s important that you know the contact information of friends and relatives – both locally and out of town – so that you can reach out to them if need be. It’s your responsibility to protect your family, even in the wake of an unforeseen emergency or natural disaster. While you can’t stop a disaster, you can control how you respond. By developing a disaster plan and teaching your family how to respond, you can ensure your family is prepared for whatever happens.